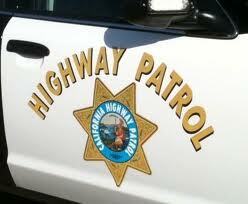 The motorcyclist collided with a deer on southbound Highway 101 in Arroyo Grande near El Campo Road. The crash marked the second time a motorcyclist has died in a collision near Highway 101 and El Campo Road since Sunday. Elsewhere on Highway 101 Tuesday morning, a four-vehicle collision occurred near Laetitia Vineyard Drive. The condition of the individuals involved in this collision is unclear. The various collisions in South County Tuesday morning resulted in traffic backing up on Highway 101 between El Campo Road and Grand Avenue. Authorities have yet to identify the victim of the fatal crash. We can’t forget the stretch between Santa Margarita and SLO, this is another one of those so called Expressways. It is cheaper to just change the label and with enough deaths Caltrans will change the road then call it a Freeway. Caltrans? Pure fools for allowing traffic to cross over from El Campo. Such bad luck and always in that stretch of highway. Rest easy fellow riders.